Rhode Island Business Law, Real Estate & Health Care Law Firm | Wolpert & Associates, Inc.
Wolpert & Associates, Inc. is a preeminent law firm in Providence serving the business interests of clients throughout Rhode Island and the adjacent Massachusetts counties of Bristol and Norfolk. With meticulous attention to detail, attorneys Bruce Wolpert and Joseph Bassi apply their well-honed skill to resolve even the most complex legal matters. At Wolpert & Associates, Inc., service is the firm’s hallmark. The attorneys of Wolpert & Associates, Inc. offer business clients their 40 years of combined legal experience. 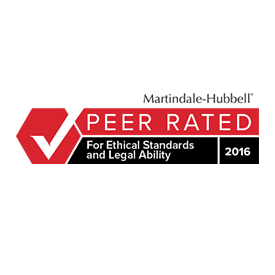 Bruce Wolpert has earned many distinctions, including listing as AV® Preeminent™ Peer Review RatedSM by Martindale-Hubbell® — the highest level of recognition possible within the legal industry for professionalism and ethics —and as a Rhode Island Super Lawyer. Understanding the critical needs of businesses, the firm makes every effort to respond promptly by email or phone. Like Providence itself, Wolpert & Associates, Inc. combines the accessibility and friendliness of a small firm with the prowess and sophistication of a large firm. Client relationships are paramount and the firm has enjoyed longstanding relationships that have endured two and even three decades. Mr. Wolpert and Mr. Bassi bring cases before Rhode Island and Massachusetts state courts. They have experience in mediation and arbitration if going to court is not in their clients’ best interest.